What do mad scientist birds have in their laboratories? 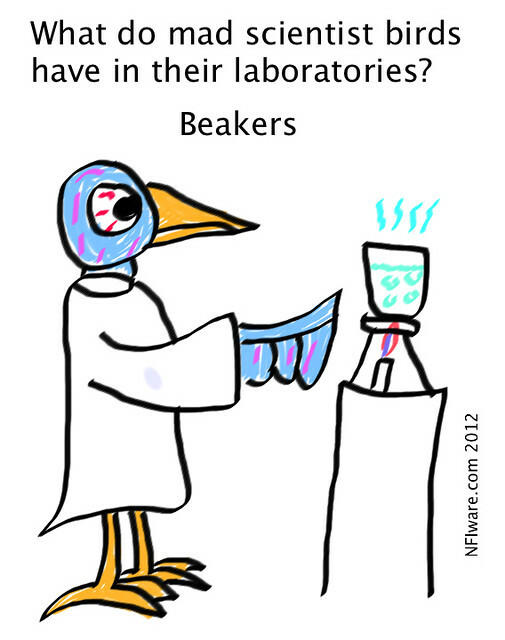 This entry was posted in Comics and tagged bird, cartoon, laboratory, mad, science, scientist. Bookmark the permalink.